One of the fabulous things about being an Australian manufacturer is the quality control (and for a perfectionist, that’s a fabulous thing)! With all that heart and soul invested, I’m generally enamoured with everything that we brand Queen B. Occasionally, however, we have a hand in creating something that is really special. 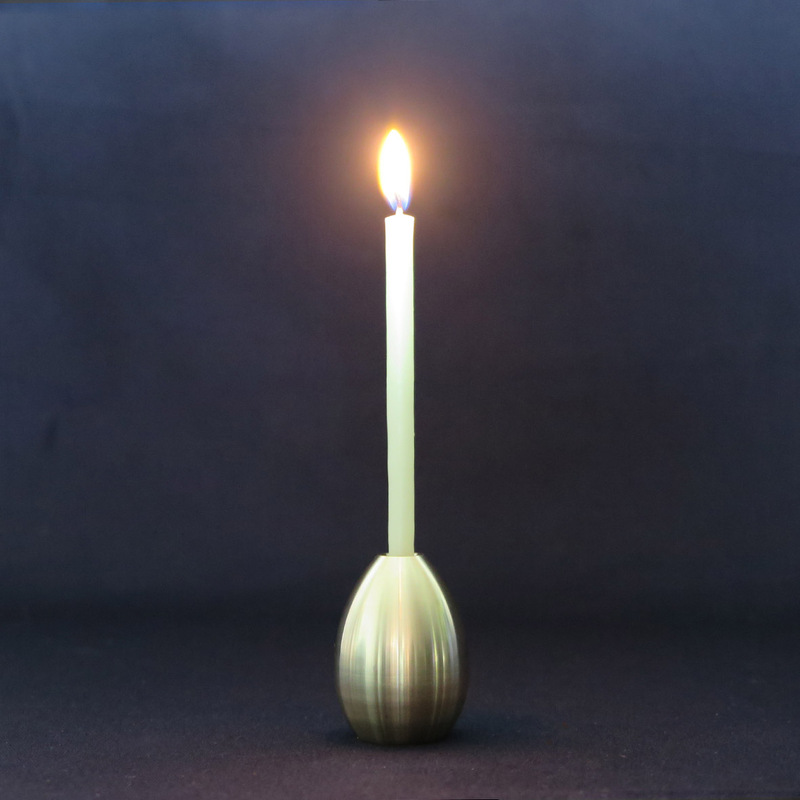 Our new Reversible Brass Egg Candleholder is in this category. It really is just extraordinarily beautiful. 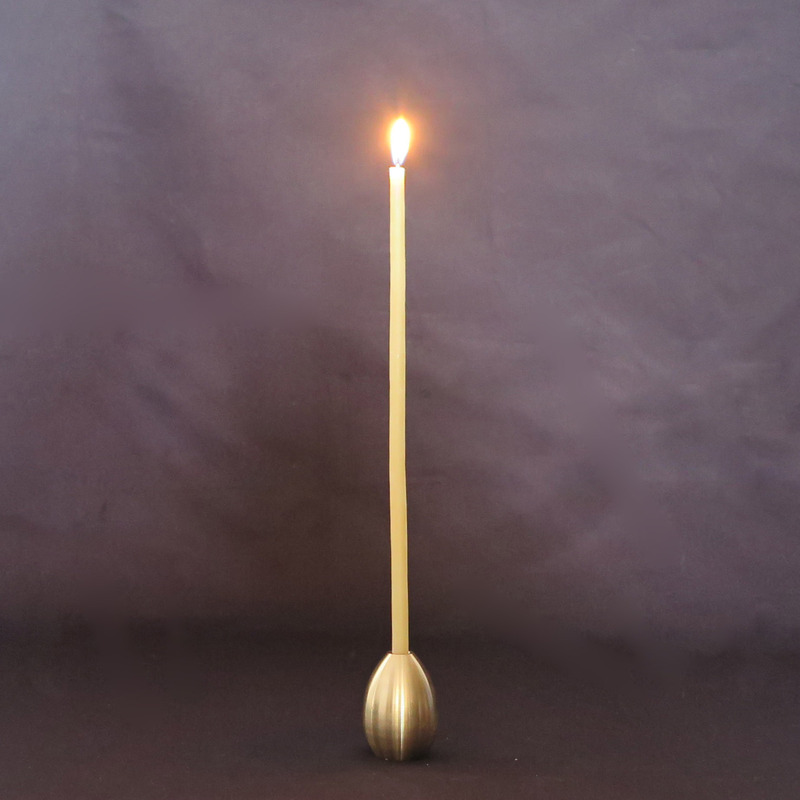 Made from solid brass, it is weighty and substantial. 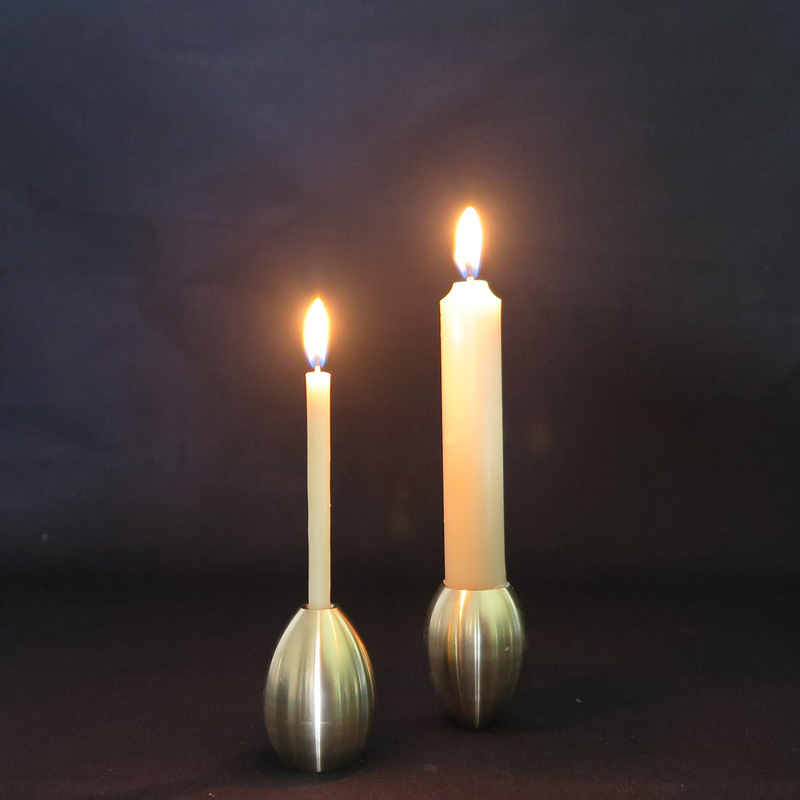 It is designed to be used with our Bee Lights or Thins in to top or you can turn it upside down and use 12cm Beeswax Tapers in the bottom. A sculpture on it’s own. A paperweight when required. A little bit of bling when shone. 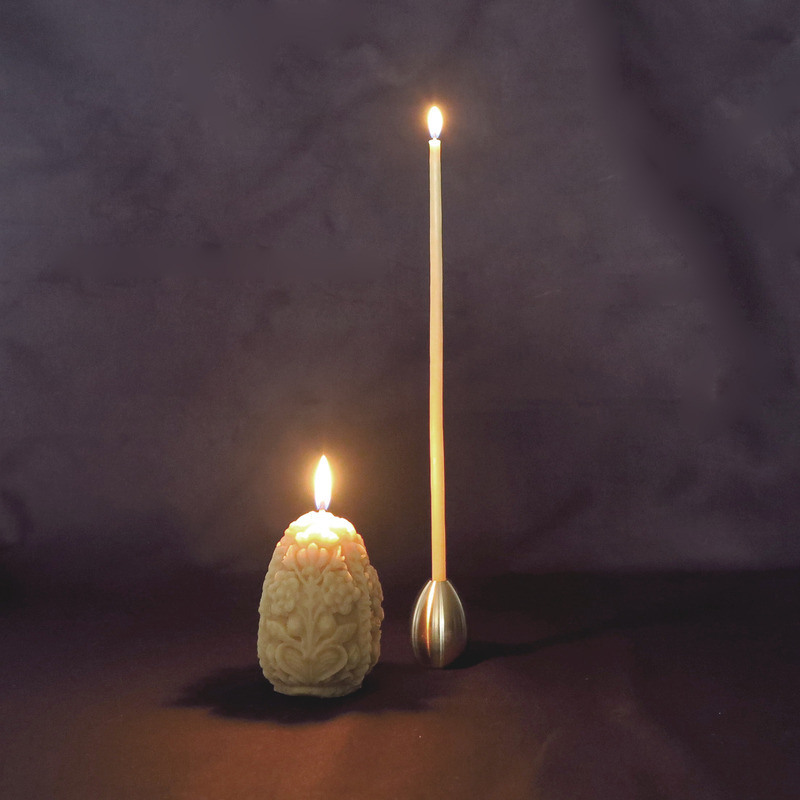 A holder of bee created light. The only luxury it doesn’t deliver is a martini!